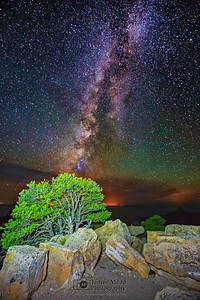 The Milky Way rises over the Shadows Hancock Butte, Sullivan Peak and Point Imperial at the North Rim of the Grand Canyon in Arizona. 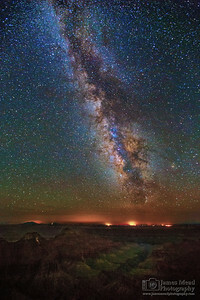 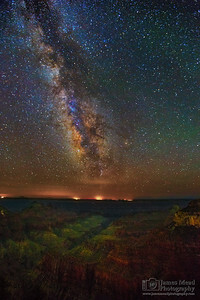 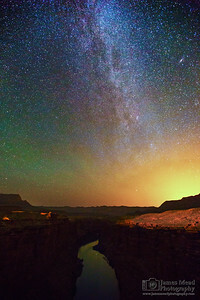 The light pollution on the horizon is from the South Rim of the Grand Canyon. 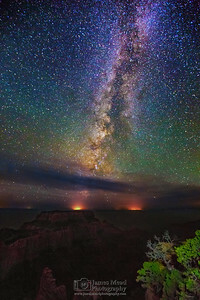 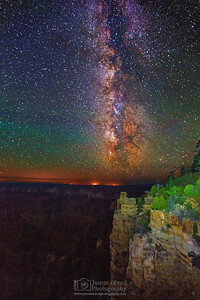 The Milky Way core rises out from behind trees, shrubbery and rocks along the North Rim of the Grand Canyon in Arizona. 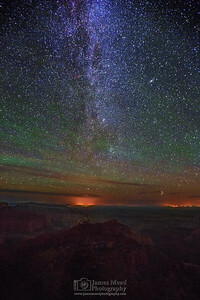 Green Airglow can be seen above the light pollution on the horizon. 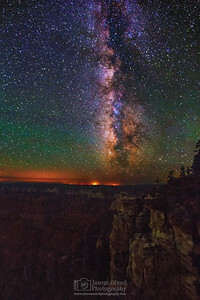 The Milky Way rises over an illuminated Sullivan Peak and Point Imperial, as Hancock Butte sits in the Shadows at the North Rim of the Grand Canyon in Arizona. 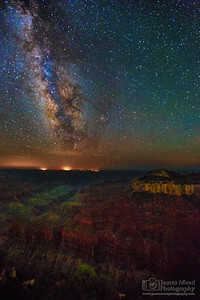 The light pollution on the horizon is from the South Rim of the Grand Canyon. 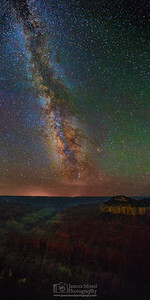 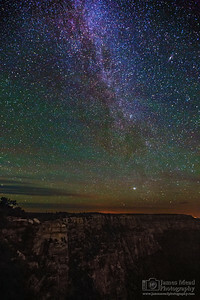 Perseid Meteors streak across the core of the Milky Way galaxy as it rises into the night sky above The Transept and Bright Angel Point on the North Rim of the Grand Canyon.